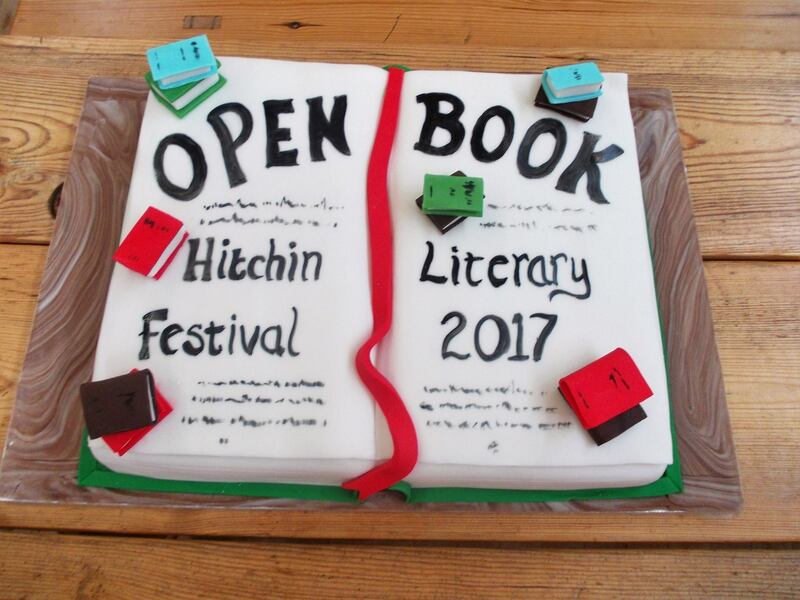 On Saturday 29th July, the first ever ‘Books, Beers & Banter’ Open Book Literary Festival took place at the British Schools Museum, Hitchin. 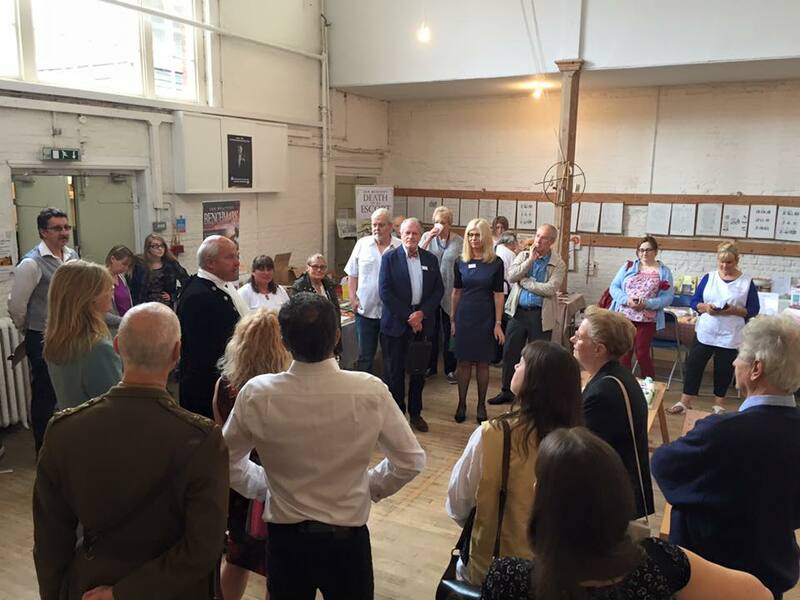 Organised by the Society of Authors Hertfordshire group, twenty local professional authors, whose subjects include fiction, poetry, history, royals and lifestyle genres (including cake decorating) gave a series of talks, readings and workshops. They were on hand throughout the day to discuss their work and writing, to explain their passion and enthusiasm and to sign copies of their books. 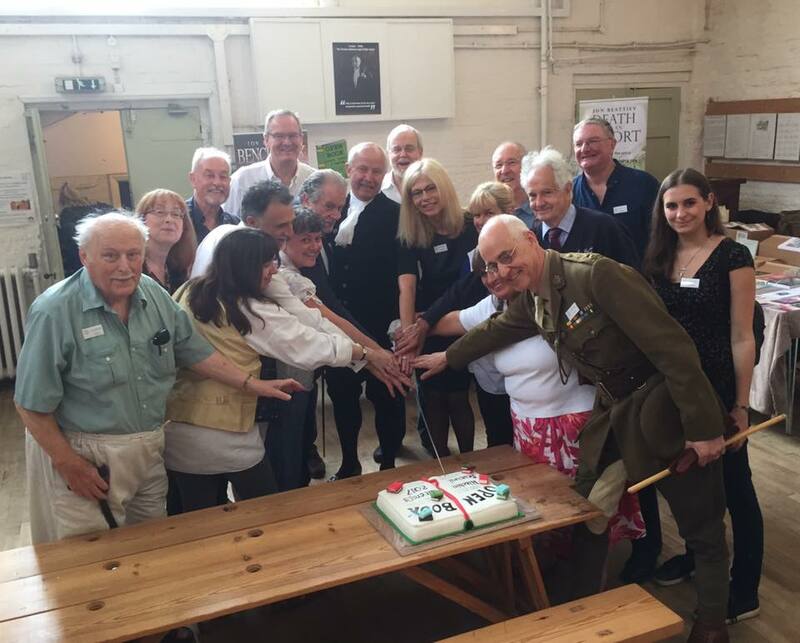 The event was opened by Will Hobhouse Esq, High Sheriff of Hertfordshire who, after giving his opening address, can be seen here cutting the Open Book cake with his ceremonial sword, assisted by several of the authors. Special guest speaker, London Literary Agent Ella Kahn gave an informative talk to a packed room on ‘How to Hook an Agent’. 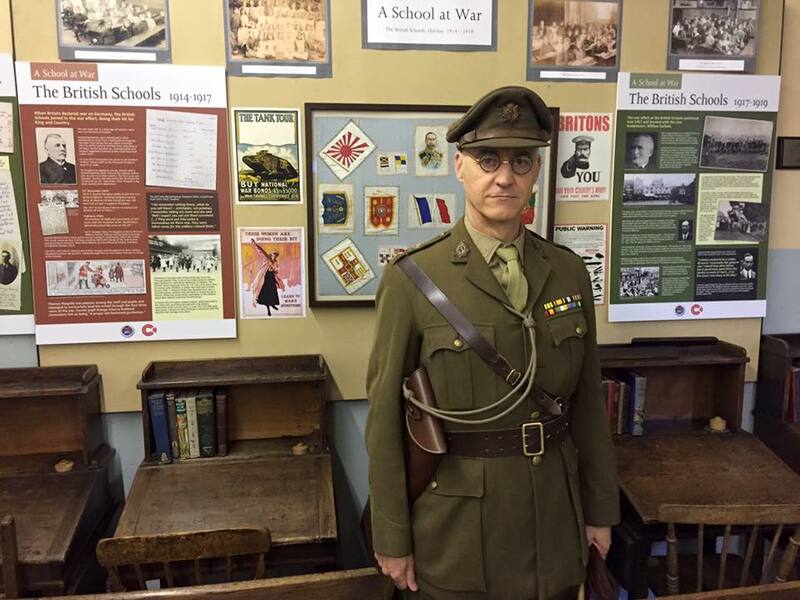 Here is one of the authors entering into the spirit of the event, having hired an authentic costume relevant to his writing. 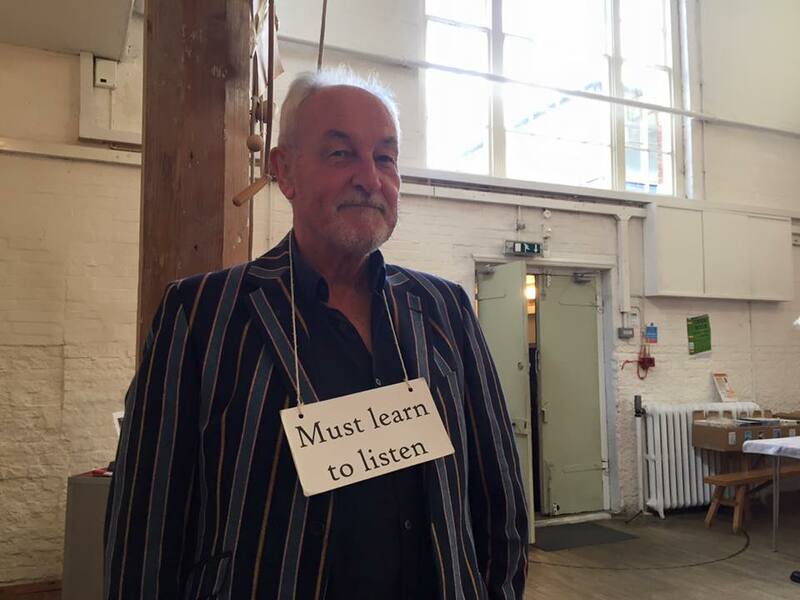 Another, chastened by the severe atmosphere of the Victorian schoolhouse, was given a reminder of how to behave. 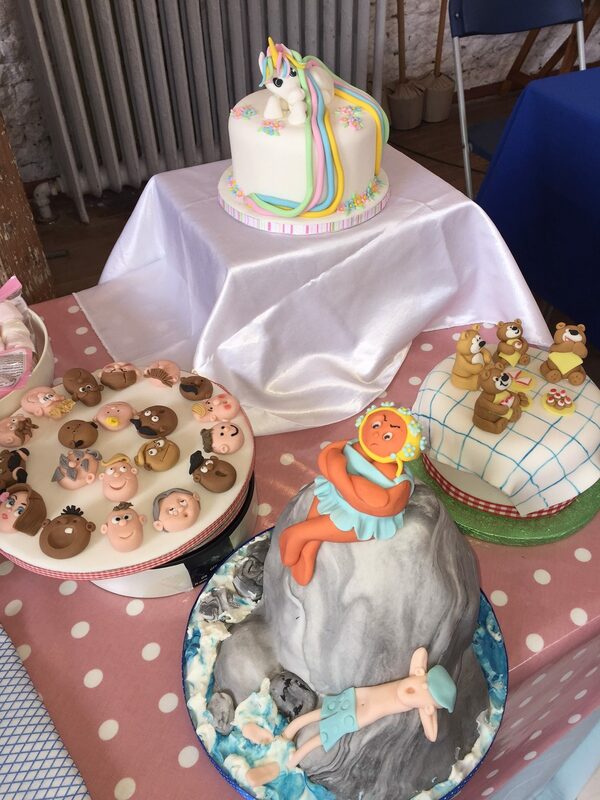 Throughout the day, additional attractions included an on-site beer and wine tent and barbecue, together with cake icing demonstrations. Following the success of the event, plans are under way to repeat it next year. 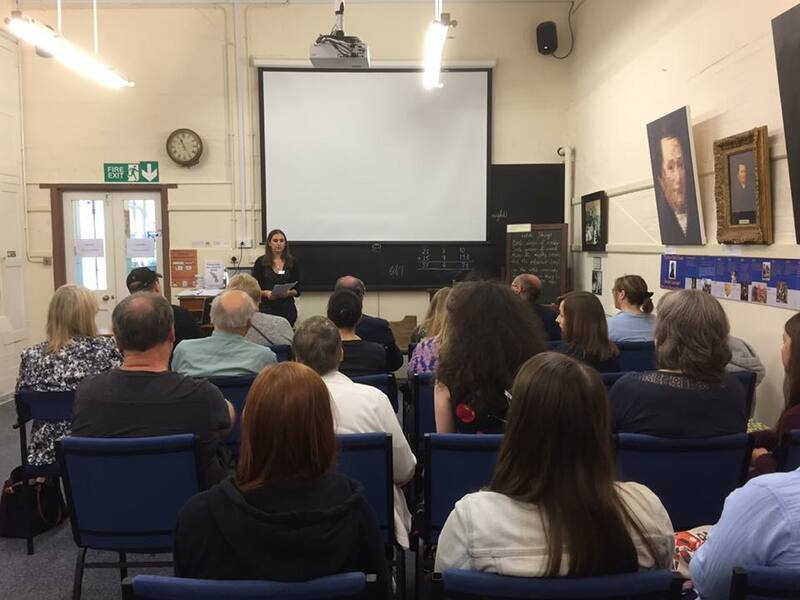 By way of a postscript, I am grateful to those who attended and enjoyed my talk entitled ‘YA Novels: Writing, Getting Published and Beyond’. In particular, I feel humbled by one of the audience, Daniel, who waited an hour for me to return from another talk, to ask me to sign copies of my trilogy. I do hope he enjoys it.